Babėnai quarry was dug up in 1950–1953 and used as a sand and gravel pool. The swimming site is installed at the end of J. Biliūno street. – Šiauliai–Jonava railway is built near this area, above Nevėžis. 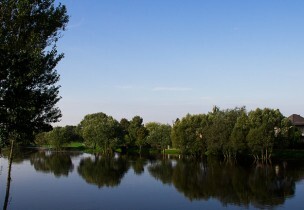 There is another river dam – threshold within the limits of Kėdainiai town, at Skongalio street. There is a changing room, toilet and a volleyball court.